Shows set-up, launch and in-flight sequence of ground launched Cruise missile. 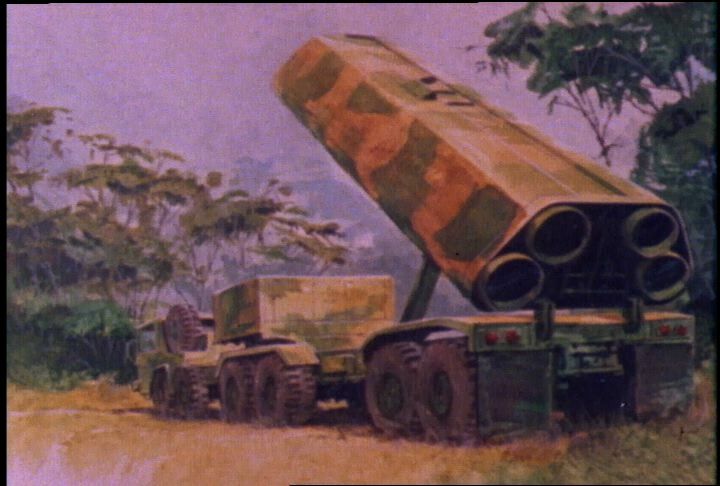 Chicago: “War and Peace in the Nuclear Age; Zero Hour; Ground Launched Cruise Missile 1983,” 01/01/1983, WGBH Media Library & Archives, accessed April 24, 2019, http://openvault.wgbh.org/catalog/V_CAA61D2316344BCFBE37712DAE30B4A1. MLA: “War and Peace in the Nuclear Age; Zero Hour; Ground Launched Cruise Missile 1983.” 01/01/1983. WGBH Media Library & Archives. Web. April 24, 2019. <http://openvault.wgbh.org/catalog/V_CAA61D2316344BCFBE37712DAE30B4A1>.